There was a clamor for crêpe at home so I had to make a double batch of batter to satisfy a bunch of crêpe-craving mouths. 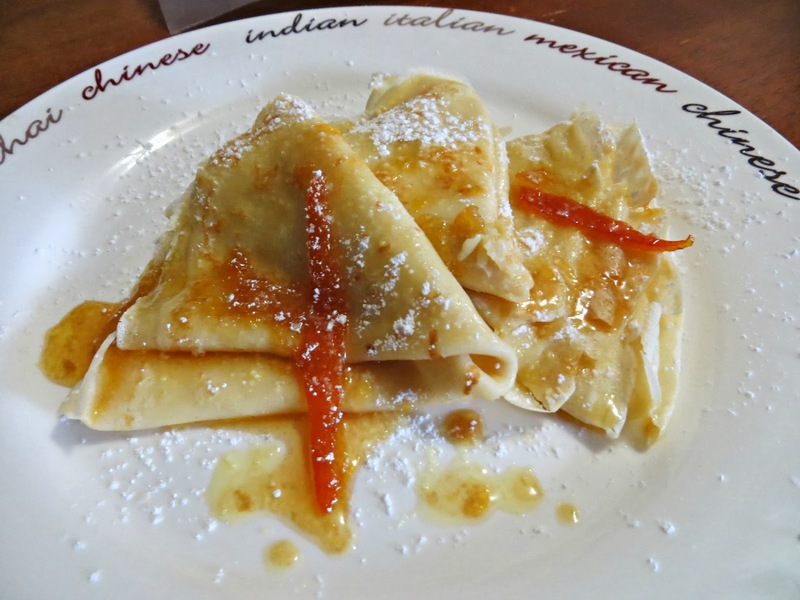 And while everybody stuck to the usual Nutella-banana filling, I opted to have Crêpes Suzette. 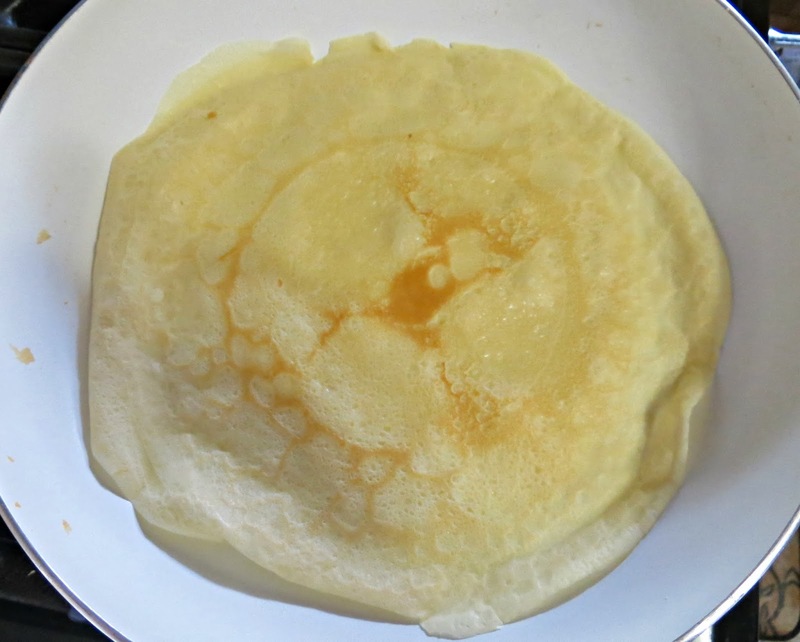 I have made Crêpe Suzette using the recipe from a pancake mix box long before its origin came to my consciousness. Then, I would just use orange juice to flavor the syrup but now, the syrup has evolved with orange rind and a splash of Grand Marnier (when I'm feeling fancy) topped with powdered sugar----hmmm yummiest! My homies are blessed because I have a jar of homemade orange marmalade on hand (thanks Ms T) which I planned on using for my scones but crêpe they want so crêpes it will be. 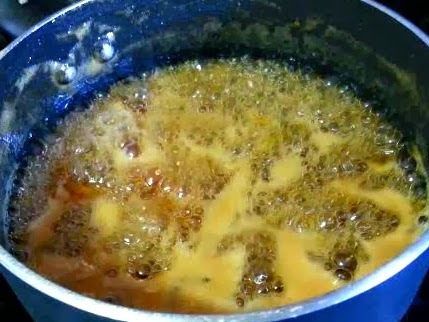 Pour in juice and zests then simmer for 3-4 minutes to thicken slightly. Transfer each crêpe into kitchen towels to cool. 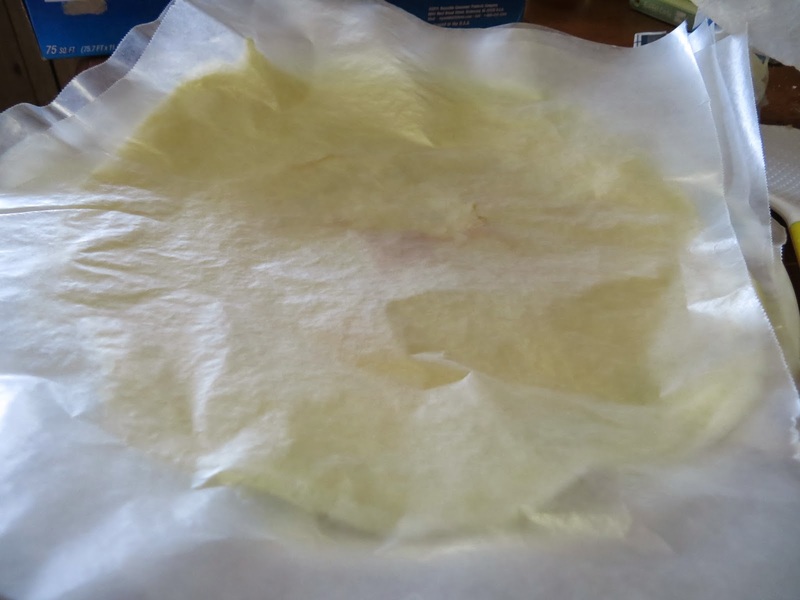 I used parchment paper. Repeat the process till you have made all 20 or so crêpes. 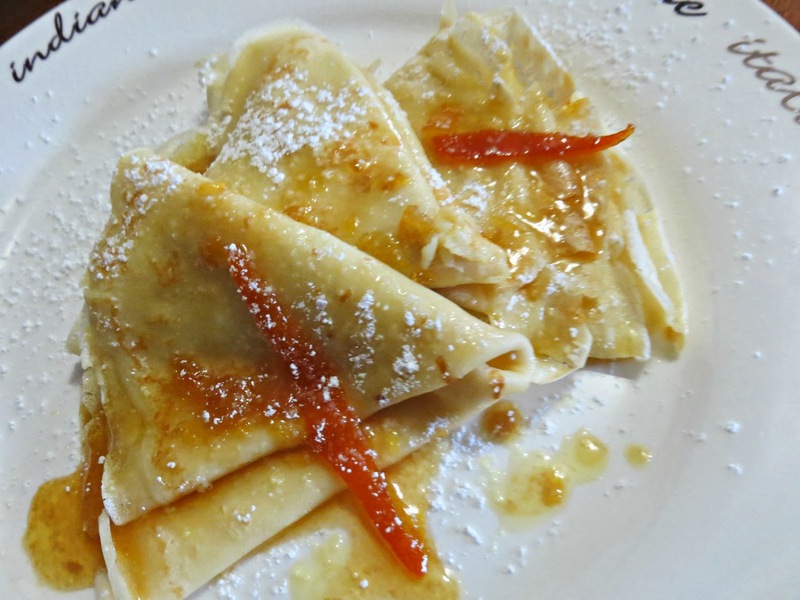 Just fold the crêpes like hankies; drizzle with the orange-butter syrup then give it a powdered sugar shower and dig in! The orange rind has achieved that chewy soft consistency and the butter and orange juice really heightened its delicious flavors and if you'll ask me if I ate all three, I sure did!